Belle Lettre wrote: I love caramba's assumption that Filipino and Indonesian crew would be barely literate. My joke wasn't referring to all Filipino and Indonesian seamen - just the ones unfortunate enough to have to work alongside Copehead. I am beyond caring. I have lost all faith in politicians. It does offend me to see people like Long Bailey and Corbyn in the Cabinet office though. They shouldn't even be allowed in a town hall. Diamond Dog wrote: Are you really that blind? Thanks for the civics lesson. I guess I’m most surprised that perhaps 48% of voters want to call the whole thing off, and no party will step up and represent those voters. If one wants to cripple a nation, just make things so partisan and fractured that there’s no sufficient constituency for moving ANY particular direction. He is the appointed Director of Strategy and Communications. 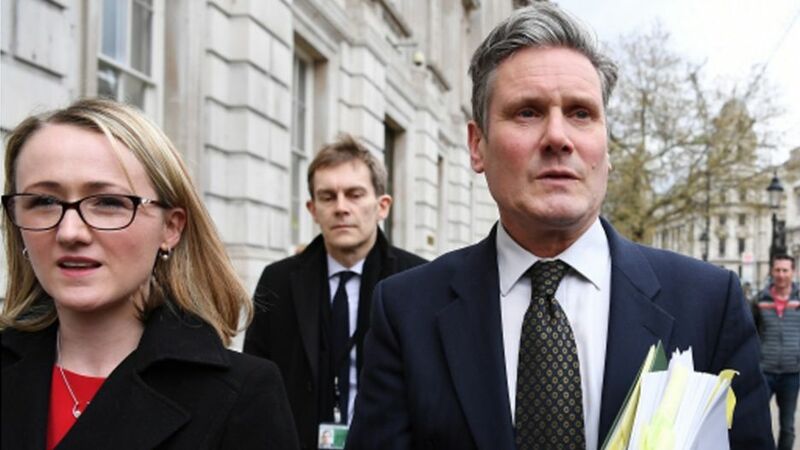 Why shouldn't he walk down the road with 2 MPs from the same party? Yeah but Magic Grand Dad is an anti-semite and a Marxist! He is a free man, and if he wants to walk down the road with that Foghorn and Blair's puppet, that is up him. However, because he has been linked to terrorist groups in the past, and is actively considered a security risk, he usually keeps his head out of sight. Three of the most vile and wretched political figures of our time in that picture. "Linked" in which ways exactly? You mean "Having an opinion on...?" Who considers him a terrorist risk and -if he is- why indeed is he walking down a street in London, ready to pop in and see the Prime Minister? You really do talk utter garbage sometimes Michael. MI6 apparently. Not the greatest source ( to put it mildly, but not the Mail) but I am rewiring a switch at the moment and I don't have time to educate you this evening. Nothing whatsoever to do with The IRA then. You really should check before lying like that Yomp. Still he’s got a Paddy name so that’s ok.
Just as well you deleted the evidence eh? yomptepi wrote: MI6 apparently. Not the greatest source ( to put it mildly, but not the Mail) but I am rewiring a switch at the moment and I don't have time to educate you this evening. You always have the time. You just never have the material or capability which which to do so, Michael. Did I mention the IRA then? I must have had an aneurysm because I don't remember that. One of us must have had one. Did you actually read that 'report'? I mean - seriously...did you actually read it? I've rarely seen such a multitude of innuendo and hearsay presented as 'evidence'. All of it completely without basis or evidence. Opinion presented as fact. Unnamed sources used as bulletproof examples. 'Journalism' of a standard the Beano would blush at. If that's the best you can do my old mate, I suggest you retire from your role as the Board's Angry Tory From The Home Counties. And quickly too. It was well up to sort of rubbish Copehead used to post as evidence. And that is the plimsoll line here I'm afraid. It's no good turning up late and trying to fill in for your new best mate whilst he becomes a legend on Twitter. The lines have already been drawn in the sand.